Many believe there is no more important time period in a child’s life than following the birthing period. This time of rapid growth is both exciting and challenging. ZERO TO THREE is a national nonprofit that provides parents, professionals and policymakers the knowledge and know-how to nurture early development. 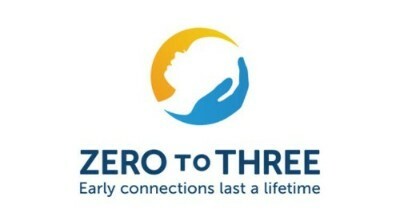 The Zero to Three Mission is to ensure that all babies and toddlers have a strong start in life. It was founded in 1977 by top experts in child development, health, and mental health and the organization has evolved into the organization that plays a critical leadership role in promoting understanding around key issues affecting young children and their families, including child care, infant mental health, early language and literacy development, early intervention and the impact of culture on early childhood development. Zero to Three is a strong source of information and a reliable partner in for infant toddler early childhood mental health. The work in neuroscience over the last 10 to 15 years has revealed much about the brains infants and young children, particularly the reality that an infant’s brain is still growing and developing. And, most importantly a child’s healthy brain development is dependent on the quality of type of interaction, or lack thereof with the adults who care for them on a daily basis. According to the Harvard Center for the Developing Child, many researchers have established that Toxic stress response can occur when a child experiences strong, frequent, and/or prolonged adversity—such as physical or emotional abuse, chronic neglect, caregiver substance abuse or mental illness, exposure to violence, and/or the accumulated burdens of family economic hardship—without adequate adult support. This kind of prolonged activation of the stress response systems can disrupt the development of brain architecture and other organ systems, and increase the risk for stress-related disease and cognitive impairment, well into the adult years. But when toxic stress response occurs continually, or is triggered by multiple sources, it can have a cumulative toll on an individual’s physical and mental health—for a lifetime. The more adverse experiences in childhood, the greater the likelihood of developmental delays and later health problems, including heart disease, diabetes, substance abuse, and depression. Most importantly though, research also indicates that supportive, responsive relationships with caring adults as early in life as possible can prevent or reverse the damaging effects of toxic stress response. Trauma changes a child’s life for the worse but with appropriate intervention those changes healing will happen leading to a full and healthy life. The Internationally Acclaimed Circle of Security Parenting Intervention is expanding across Nebraska. There is an exciting empirically based parenting and intervention model expanding throughout the world, Circle of Security Parenting® (COS). The Circle of Security is a relationship based early intervention program designed to enhance attachment security between parents and children. Decades of university-based research have confirmed that secure children exhibit increased empathy, greater self-esteem, better relationships with parents and peers, enhanced school readiness, and an increased capacity to handle emotions more effectively when compared with children who are not secure. COS is a parenting DVD-based parent-education program offering the core components of the COS protocol. The program presents video examples of both secure and problematic parent-child interactions and healthy options in caregiving, and animated graphics designed to clarify principles central to COS. COS integrates decades of attachment research into an accessible step-by-step process for use in group settings, home visitation, or counselling settings. Here are two video clips about COS. The first one is a brief explanation of the concepts utilized in the program and the second is a clip from the first chapter of the program to give you a sense of how the DVD information is presented. Participants watch the DVD with a COS-Parenting educator who has attended a four day training to become a Register Circle of Security Parenting Educator. During the classes there are scheduled pauses where the educator poses questions that engage the participants in conversations about the content and how that applies to their situations and life’s experiences to help them grow. Circle of Security International is training in Nebraska the week of September 16–19, 2014, for persons to be registered parent educators. After the training there will be over a hundred COS Parent educators available throughout the entire state of Nebraska. The Nebraska Association of Infant Mental Health is excited to be a supporter of Circle of Security as it expands across Nebraska. State level partners who have joined resources to be bring COS state-wide are: the Early Development Network, UNL-Extension and Center for Children, Families and the law, Nebraska Children and Families Foundation, NE Department of Education, NE Department of Health and Human Services, Nebraska Infant Mental Health Association, NE Federation of Families for Children’s Mental Health, Head Start State-Collaboration Office and others.